How does on line training work? 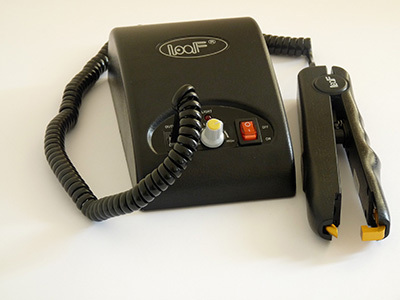 This method uses pre-bonded Nail Tip/U tip bonds attached using a Heat Connector Iron. Using Pre-Bonded Stick/I Tip Hair Extensions. This method uses small metal rings clamped flat with pliers. The Stick Tip comes with a plastic loop and Micro-Ring already attached for ease of application. They are clamped flat with application pliers. 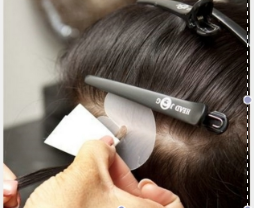 This method uses Micro-Rings to attached a weft instead of individual bonds. Double and triple layers of weft can be attached each row for extra thickness. This is the latest method to the market. 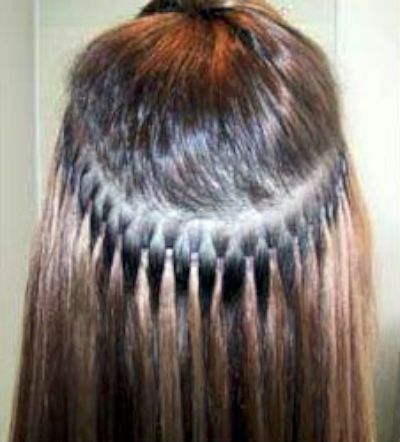 It is similar to Micro Rings only the rings are tiny so more discreet which fit in the ring using a wire tip. 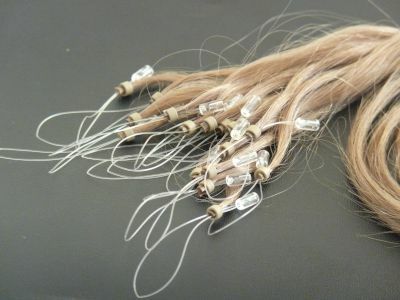 This method involves gluing together several strands of Extension Hair cut from a weft, using a glue gun and glue sticks to form a bond. 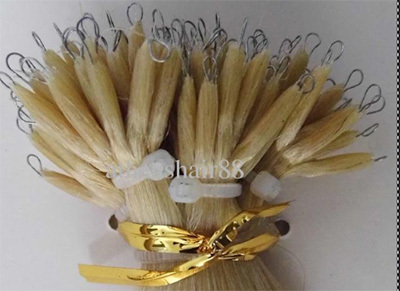 This is applied the natural hair to form the extension. 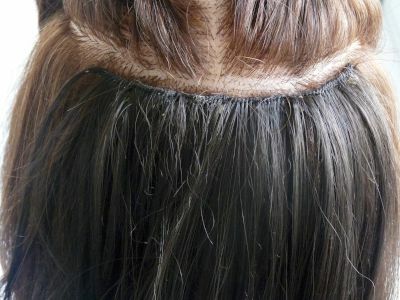 A full weft of hair is sewn onto one or two braids. This is a great method and fast to apply. 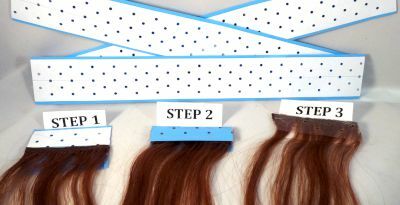 This method uses double sided tape which is cut to the required widths, applied to wefts, then gently placed onto the natural hair. They are very quick to apply and can last 6 weeks. They are totally invisible. 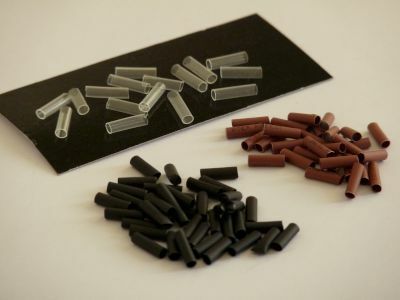 This method uses Stick Tip Hair inserted into small plastic tube then briefly heated with a Heat Connector Iron resulting in the tube shrinking by up to a third in size to secure the extension. The Invisable Braidless Weave also know theHollywood Weave, Celeb Weave. 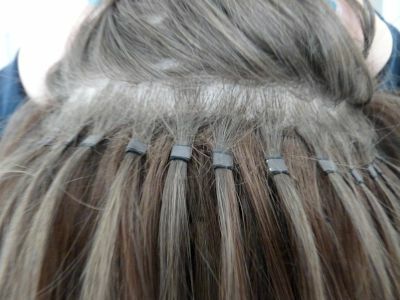 The Braidless Invisable Micro Ring Weave: This is our latest method. Our clients love it! 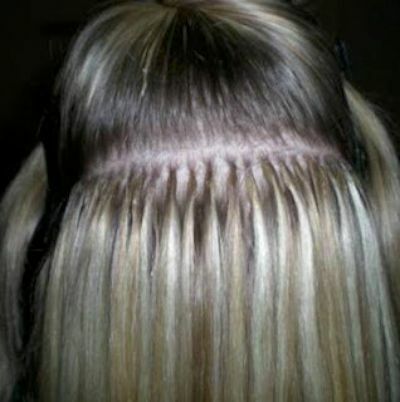 You will learn to sew the weft onto a base of Micro Rings, so no need to be able to learn to braid. It is quick and easy and lasts 6-8 weeks. It lies really flat and is very comfortable. Full basic Kit, full weft, curved needle and thread, micro rings, pulling hoops.